Don't Make a Move Without Me! Your local connection to Florida Keys Real Estate. Tropical climate, crystal waters, fantastic sunsets - the Florida Keys... For a week or a lifetime, there's no place like the Florida Keys. Barbara Eads will turn your dream into a lifestyle with a great selection of Florida Keys Real Estate. Years of experience and intimate knowledge of the local market ensure that buying Florida Keys Real Estate is a breeze with Barbara Eads. We can help you sale your home with a Short Sale and prevent foreclosure. Directions: Take the Florida Turnpike south to Florida City. From Florida City take US 1 south into Key Largo and the Florida Keys. Along the way you'll see small green "Mile Markers". We use them for directions down here! 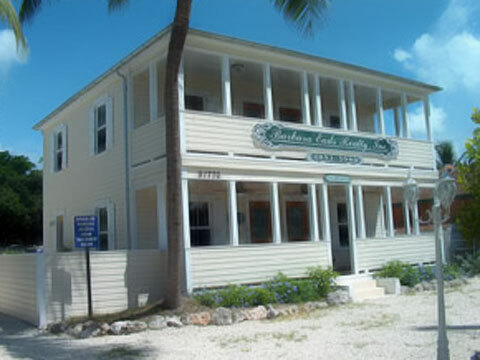 Look for Barbara Eads Realty, Inc. at about MM 92 on the Bay Side of the Island. You could soon be enjoying your own Florida Keys Real Estate!